The queue was still rather long even at 2 pm. I joined in and waited patiently for my turn. This stall is manned by a middle-aged couple. I could hear the man asking one of the elderly customers in Hokkien whether he wants to have rice or noodle. When the man was busy cooking behind, the smiley lady was taking the orders in Chinese, English and Cantonese. She always ended with 'thank you' when she served it. I was told that the couple used to work with SIA as cabin crew. And, i guess that very much explained on such professionalism in service delivered. When it was my turn, I answered in English when she asked in Mandarin for my order. She then immediately followed up with replies in English. 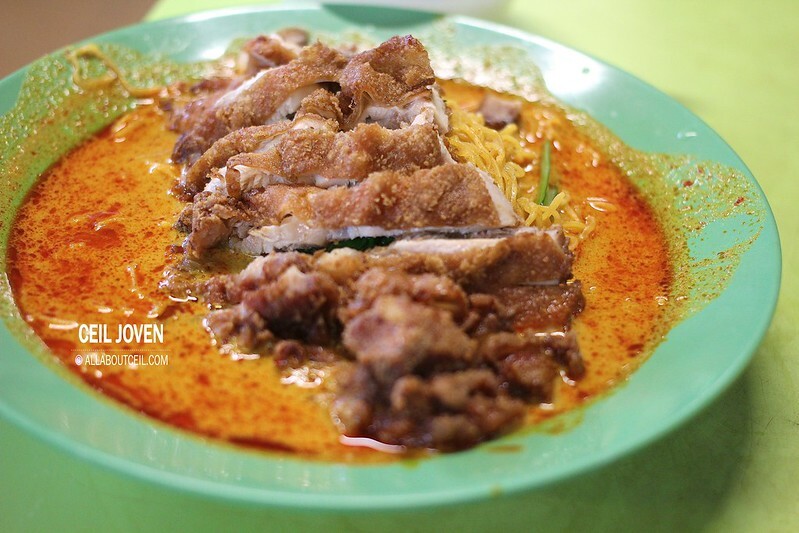 I wanted the Curry Chicken Chop Noodle for $3.50. She said, 'Be careful. It's hot.' followed by 'Thank You' when she placed it on my tray. I was deeply impressed and totally amazed. A substantial portion of mee kia came with a massive piece of nicely chopped fried chicken cutlet and pieces of potato. It was served in a generous amount of curry sauce. 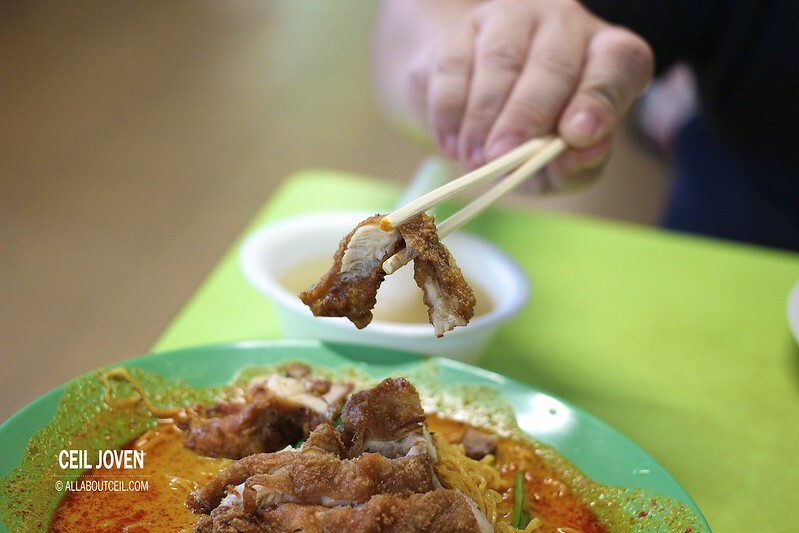 The chicken chop was freshly fried to give it a noticeable crispiness and succulent texture without the greasiness. It tasted extremely good after soaked in the curry sauce. 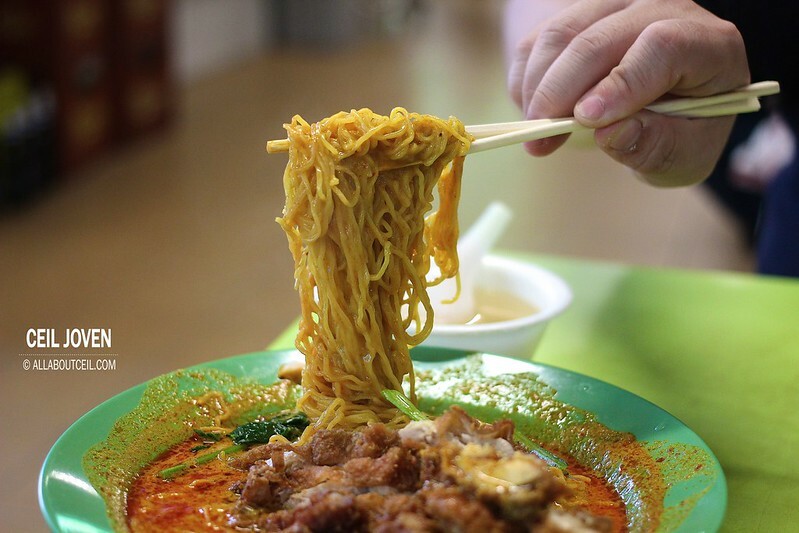 The mee kia was cooked well to give it the desired springiness with an enjoyable chewiness. It might be a little heavy for breakfast but definitely an ideal choice for lunch. It tasted much nicer as compared to the Dumpling Noodle that i ordered during my first visit quite a while ago. 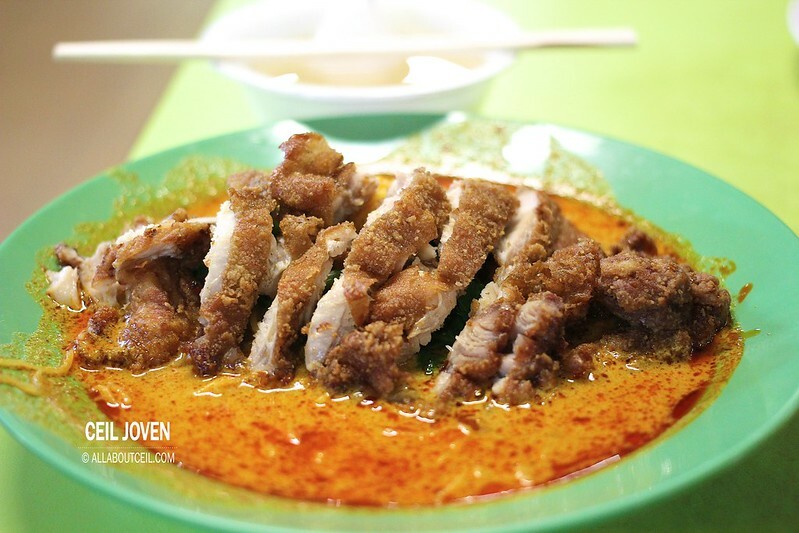 Another popular item that ordered by many of their probably regular customers is Curry Yong Tau Foo. I have indicated this on my must-try list and hoping to try it on my next visit. Good foods coupled with good service. What more to ask but to go back for more. Strongly recommended. 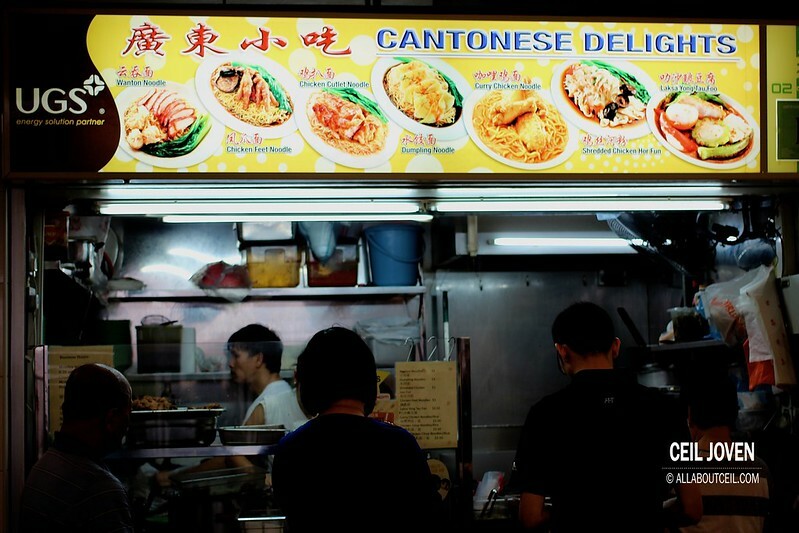 531A Upper Cross Street #02-03 Hong Lim Food Centre SINGAPORE 051531.